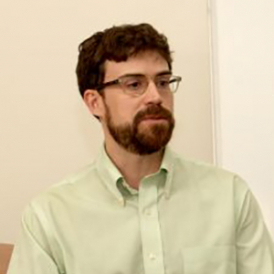 Daniel Arnaudo is a senior program manager at National Democratic Institute, covering the intersection of democracy and technology with a special responsibility to develop projects tracking disinformation worldwide. Concurrently, he is a Research Fellow with the Igarapé Institute of Rio de Janeiro and a Cybersecurity Fellow at the University of Washington’s Jackson School of International Studies where he has worked on projects in Brazil, Myanmar, and the United States. Recently, he also collaborated with the Oxford Internet Institute’s research group on Computational Propaganda. His research focuses on online political campaigns, digital rights, cybersecurity, and information and communication technologies for development (ICT4D). He earned master’s degrees in Information Management and International Studies at the University of Washington by completing a thesis on Brazil and its Bill of Rights for the internet, the Marco Civil. Previously, he worked for the Arms Control Association, the Carnegie Endowment for International Peace, and the Carter Center as well as having consulted for a wide range of organizations including Microsoft, the Center on International Cooperation at NYU, and NASA. In May 2018, his research titled, “A New Wave of Censorship: Distributed Attacks on Expression and Press Freedom” was published through the Center for International Media Assistance Digital Report. The study highlights attacks on freedom of expression that detract democratic discourse and weaken public trust in institutions such as the media, other governments, the opposition, and civil society. He advocates for the protection of journalists from online attacks through the help of data scientists, digital security experts, and large social media platforms.